Ascension Symptom Flush eases the transition and pressure often felt as Earth travels in space and our physical bodies adjust to the new light vibrations. 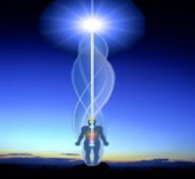 As you are “enlightened” and your vibration rate speeds up and changes, you may be uncomfortable. All change whether good or not can initially be felt as a threat to the body. This attunement can help to relieve the internal pressure and restlessness that can accompany these changes. Spiritual growth can encourage us to leave behind habits and patterns, and negative ways of thinking and reacting. Our bodies may release toxins and also are adapting to the new energies at the same time. Ascension Symptom Flush can help your body and being to make adjustments to keep you comfortable during the process. The energies of this system can be activated by intention for anyone, including people, animals, birds, fish, amphibians, reptiles and others at a distance, anywhere on planet Earth.